Munich Airport (IATA code: MUC) is the second busiest airport located in Germany and provides domestic and international service to 38 million passengers each year. The volume of traffic makes it the only second to Frankfurt Airport. Munich Airport was named after Franz Josef Strauss, a former Bavarian Prime Minister. 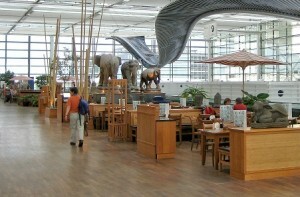 The current Munich Airport has been serving passengers since 1992. Previously, operations for the city of Munich were provided through Munich-Riem Airport, which was open from 1939 to its closing in 1992. 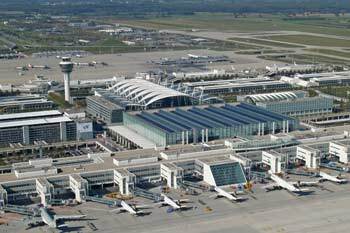 The Munich Airport provides the use of two passenger terminals and two runways. Munich Airport offers a range of amenities and services from its two terminals, including Visitors Centre, shopping, snacks and information desks. There is a selection of eateries conveniently situated throughout either terminal, providing ease for guests departing or arriving. A Visitors Terrace gives passengers an ideal vantage point to watch operations before a flight. Avoid waiting in long queues or not fining the ideal car by pre-booking car hire services in advance. Depending on the travel season, Munich is a popular destination for many travelers – pre-booking a car hire prior to arriving at Munich Airport ensures passengers obtain the ideal model or make for holiday needs. Compare and contrast the different companies to find the right rates to match any budget or size specifications. Learn more about Munich Airport by visiting the website at http://www.munich-airport.de/en/consumer/index.jsp or by calling the information line at +49 89 97500. Munich Airport is located at Nordallee 25, 85356 München, Germany.